RecordOil offers end customers different electric kits for lubricant transfer. They are easy to install in any type of tank and they come totally equipped with different accessories. Special self-suction lubricant Kits for the lubricant transfer. 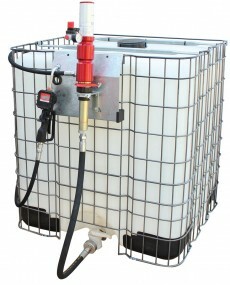 These kits are easy to install in all type of tanks or wall-fixed, allowing the quick barrel change. 6m R1 Ø1/2" delivery oil hose. PG-40 oil hand control valve or PMGE-40 complete electronic oil control valve. 60º rigid outlet with non-drip valve. 3/4" metallic tube kit, height 1m with filter built-in. 2" bung adapter (two threads) and tank adapter plug. 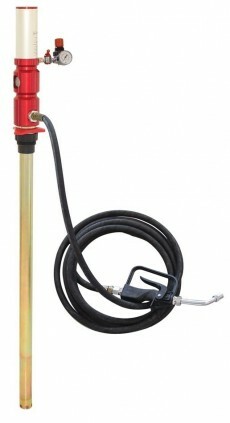 GM-3 or GM-5 pneumatic wall pump. 6 m delivery hose R1 Ø1/2" with adapter on both ends. PG-40 nozzle for the lubricant supply or PMGE-40 electronic nozzle-meter for the lubricant supply and measurement. Metallic tank support with nozzle hanger. TAC · Aluminium adapter plug. 0.70 m R1 high pressure hose. 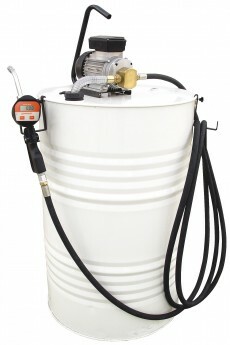 GM-3 or GM-5 pneumatic pum for 200-litre drum. 3 m delivery hose R1 Ø1/2" with adapters in both ends. 60º curve rigid outlet with non-drip end. Manual lever pump for transferring diesel, all type of lubricants and other non-corrossive fluids from barrels of 50 to 200 litres. The pump body is made of aluminium like the discharging tube. 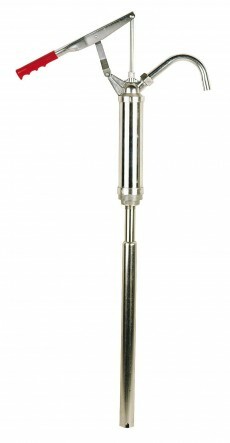 Metallic suction telescopic tube of 88 cm made of aluminium. 2'' Connection adaptable to metallic barrels of 50, 100 and 200 litres. 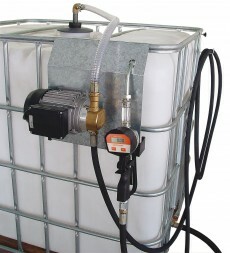 Transfer capacity: 0,5 litres x piston-stroke (litres per lever stroke).